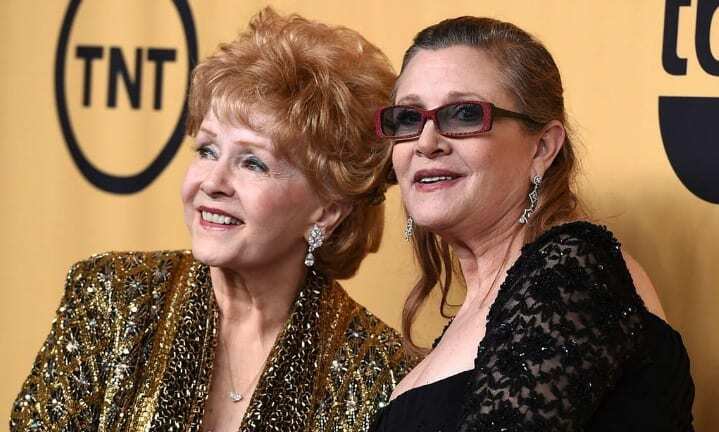 Debbie Reynolds, Carrie Fisher’s mother, has died just a day after her daughter. She reportedly passed away after suffering a medical emergency on Wednesday that was believed to be a stroke. She was reportedly with her son and just after 1 p.m. someone from the house called the police. Reynolds was 84-years-old and has been grieving the loss of her daughter who passed away on Tuesday. She was famous for roles in “Tammy and the Bachelor” and “The Unsinkable Molly Brown,” for which she was nominated for an Oscar, TMZ reported. This entry was posted on December 28th 2016 at 9:29pm/21:29 and is filed under Entertainment, Live News Column 1. You can follow any responses to this entry through the RSS 2.0 feed.